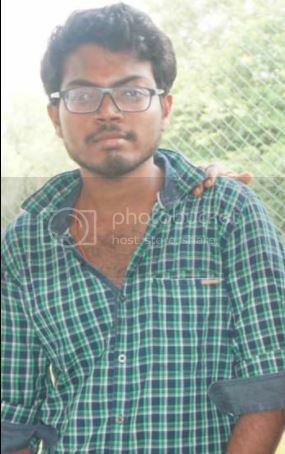 Hii Everyone.....!!! Back with a post about pumps. This is a general post which presents you detailing about principles of pumping, major components of pumps, their significance and how to efficiently enhance the pump life time and general troubleshooting issues those happen during pumping. Hope many of you are aware of these topics, but this post has a chronology about pumping in details, and this is dedicated to one of my colleague Mr. Lalith Kumar Panwar. What is a Pump ? A pump is a physical contrivance that is used to deliver fluids from one location to other through conduits. Means of producing fluid flow: There are six basic means employed to cause the fluids to flow. Displacement: Discharge of a fluid from a vessel by partially or completely displacing it’s internal volume with a second fluid is the principle upon which these fluid transport devices operate. [How To] Select an equipment for filtration ? 3. Mechanical considerations limit max throughputs. Basic function of this pump is to produce kinetic energy by action of centrifugal force and then to convert this energy into pressure by efficiently reducing the velocity of the flowing fluid. General characteristics of these devices. 1. Discharge is relatively free of pulsation. 2. Mech. Design lends itself to high throughputs. 3. Devices are capable of efficient performance over a wide range of pressures and capacities even at constant speed operations. 4. Discharge pressure is a function of fluid density. 5. These are relatively small high speed devices and less costly. When the fluid is an electrical conductor, as is the case with molten metals, an electromagnetic field is impressed around the fluid conduit in such a way that a driving force is created that will cause the flow. Such pumps are used in handling of heat transfer liquids for nuclear reactors. Deceleration of one fluid inorder to transfer it’s momentum to a second fluid is the principle commonly used in handling corrosive materials, in pumping from inaccessible depths, or for evacuation. Eg. jets & educators. [How to] Reduce solvent losses during distillation ? 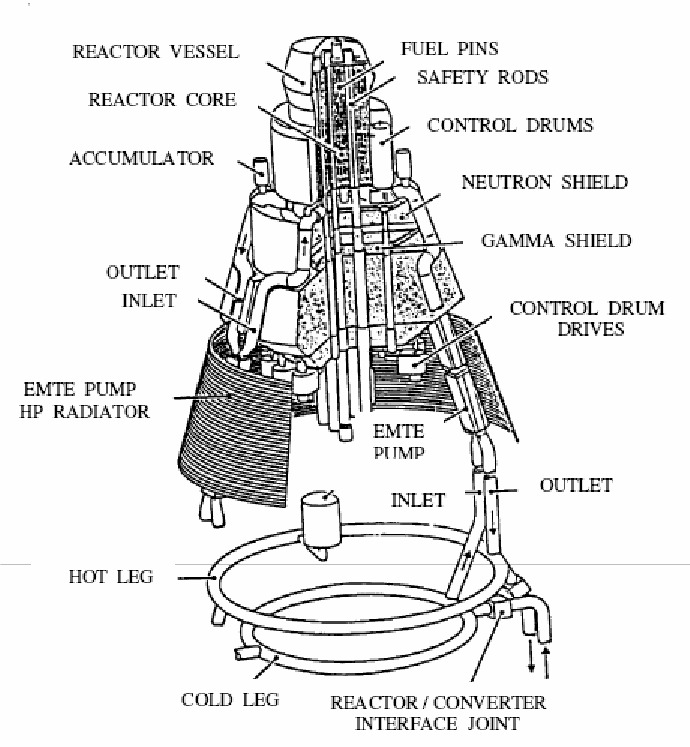 Do the reactor being used having a suitable vapour column ? Performance of a pump is measured in terms of work done which is the product of mass rate of the fluid flow and the total differential pressure measured immediately before and after the device. This differential pressure is usually expressed in the height of column of fluid equivalent under adiabatic conditions. Difference between total discharge head and total suction head. Total Suction Head: This is the guage pressure reading at the suction port + atm pressure + the velocity head at the point of guage attachment. Static Suction Head : This is the vertical distance measured from the free surface of the liquid source to the pump centreline + the absolute pressure at the liquid surface. 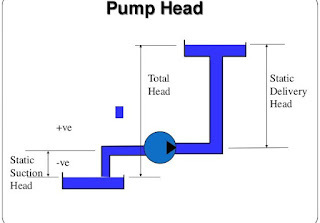 Total Discharge head: This is the reading of the guage at the discharge flange of the pump + the barometer reading + the velocity head at the point of attachment of the guage. Static Discharge Head : This is the vertical distance measured from the free surface of the liquid in the receiver to the pump centreline + the absolute pressure at the liquid surface. Total static head is the difference between discharge & suction static heads. Friction Head : This is the pressure required to overcome the resistance to flow in pipes and fittings. Frictional loss is the drop in the pressure due to friction. This is mainly due to fittings such as expansions, contractions, valves, elbows used in piping systems. Also factors such as shaft work and velocity or elevation change influence the pressure drop. Regardless of the service of the pump, all energy imparted to liquid in performing the service must be accounted for. Thus the Power Output of the pump ought to be calculated. Power Poutput is the product of total dynamic head and the mass of the liquid pumped in given time. There are some limitations of a pump suction. Whenever the pressure in a liquid drops below the vapor pressure corresponding to it’s temperature, the liquid will vaporise. When this happens within an operating pump, the vapor bubbles will be carried along to a point of higher pressure where they suddenly collapse. This phenomenon is called Cavitation. For the desired capacity NPSHA should always be equal to or greater than NPSHR. NPSHR depends on the characteristics of the liquid, the total head, the pump speed, the capacity and impeller design. For selection of a pump for any service, it is necessary to know the liquid to be handled, the total dynamic head, the suction and discharge heads, and in most cases, temp, viscosity, vap pressure and specific gravity. Presence of solids in liquid call for special material of construction. Solids may accelerate erosion and corrosion, have a tendency to agglomerate or require delicate handling to prevent undesirable degradation. In such cases a recessed impeller centrifugal pump can be used. It is a device which combines the use of centrifugal force with mechanical impulse to produce an increase in pressure. Simplicity, low cost, uniform flow, small floor space, low maintenance expense, quiet operation and adaptability for use with a motor or a turbine drive. [How To] Map equipment's for your project ? What will be the rate of distillation in the available reactor ? 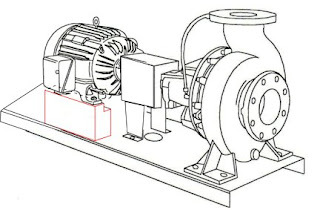 In it’s simplest for a centrifugal pump consists of an impeller rotating in a case. The liquid is forced, by atm or other pressure, into a set of rotating vanes. These vanes constitute an impeller which discharges the liquid at it’s periphery at a higher velocity. This velocity is converted to pressure energy by means of a volute or by set of stationary diffusion vanes surrounding the impeller periphery. Based on the direction of flow in reference to the axis of rotation. 2. Double suction with fluid flowing to the impeller symmetrically from both sides. Mechanical construction of impellers gives a still further sub division. 1. Circular – it is an annular chamber around the impeller. No attempt is made to overcome the losses arising from eddies and shock when the liquid leaving the impeller at relatively high velocities enters this chamber. 2. Volute casing – it takes the form of a spiral increasing uniformly in cross sectional area as the outlet is approached. The volute efficiently converts kinetic (velocity) energy imparted to the liquid by the impeller into pressure energy. 3. Diffuser type – guide vanes or diffusers are interposed between the impeller discharge and the casing chamber. Losses are kept to minimum 7 efficiency is improved to a wider range of capacities. Power from outside source is applied to shaft, rotating the impeller within the stationary casing. The blades of impeller while revolving produce a reduction in pressure at the entrance or eye of the impeller. This causes the liquid to flow into the impeller from the suction pipe. This liquid is forced outward along the blades at increasing tangential velocity. The velocity head it has acquired when it leaves the blade tips is changed to pressure head as the liquid passes into the volute chamber and thence out the discharge . The head produced by the pump will be same for any liquid of same viscosity. The pressure rise will however vary in proportion to the specific gravity. 2. Head varies as square of the impeller rotational speed. 3. Break horsepower (BHP) varies as the cube of the impeller rotational speed. The specific speed of the pump plays a major role in selecting a pump for particular opplication. Specific speed is a parameter that defines the speed at which impellers of geometrically similar design have to be run to discharge one gallon per minute against one foot head. Thus pumps with a low specific speeds have low capacities & vice versa. [How to] Design a Chiiler plant ? [How To] Scaleup an agitator ? 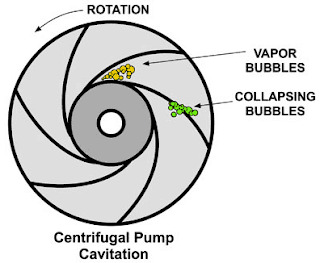 Causes And Effect: Cavitation is the formation of vapor bubbles in any flow that is subjected to an ambient pressure equal to or less than the vapor pressure of the liquid being pumped. Cavitation damage is loss of metal produced by the collapse of the vapor bubbles against the metal surfaces of the impeller or casing. Diagnosis from Pump Operation: Pump operation in presence of cavitation will reduce both the total head & output capacity. A steady crackling noise in and around the pump suction indicates cavitation. Cavitation damage from inadequate NPSH occurs on low pressure or the visible surface of the impeller inlet vane. Corrective Procedure: If additional NPSH cannot be supplied, then the capacity of the pump should be reduced to the point where NPSHR is equal to or less than the NPSHA. If this is not possible than a small amount of air can be bled into the pump suction to reduce the damage associated with cavitation. Cause & Effect: Recirculation occurs at reduced flows and is the reversal of a portion of the flow back through the impeller. Recirculation at the impeller inlet is suction recirculation & that at outlet is diacharge recirculation. These can be very damaging to pump operation & should be avoided in continuous opertation. Diagnosis: Suction recirculation will rpoduce a loud crackling noise in and around the pump suction. This is a random crackling noise with high-intensity knocks. 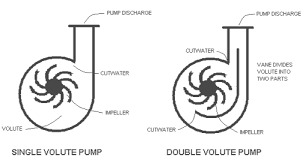 Discharge recirculation produces highest intensity knocks in the discharge volute or diffuser. Instrumentation: This can be determined by monitoring pressure pulsations in suction & discharge casings. Increase the output capacity of the pump. Substitute a harder material for impeller to reduce the damage. 2. Hydraulic : When flow decreases far enough the impeller encounters suction or discharge re-circulation or perhaps both. Flashing, cavitation and shock occur often with vibration and serious Damage. 3. Mechanical : Both constant and fluctuating loads in radial and axial directions increase as the pump capacity falls causing bearing damage, shaft and impeller breakage, rubbing wear on Casing. 4. Abrasive wear : Liquids containing large amount of abrasive particles such as sand or ash must flow continuously through the pump. If flow decreases particles can circulate inside the pump passages and quickly erode the impeller and casing. 1. Pump motor shut off at predetermined discharge head. 2. Pump motor shut off at predetermined temperature. This is what i know about pumps, if anyone wanna add something here to this, pl comment or contact me through the contact me page available at top. 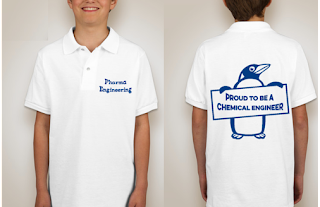 Any queries feel free to comment.......!! 2. 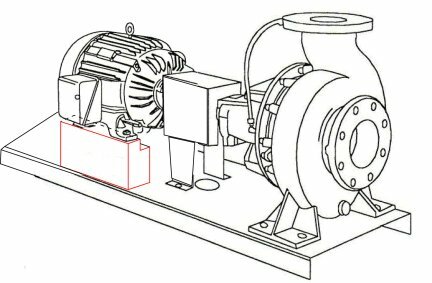 Design and Flow Analysis of Double-suction Centrifugal Pump Impeller, by NWE NI WIN. you are doing excellent work.. In one of your post you mentioned scale of agitation & it's mixing intensity but what is exact formula for calculations of scale of agitation ...please share it. Happy to hear from you, have seen your comments, being little busy cant reply back to your comments. Scale of agitation = Bulk velocity (Ft/min) / 6. In Vacuum pump capacity calaculation s post ,you are calculate capacity considering only volume for VTD but not taking the solvent vaporisation load for calaculation??? Usually vacuum pump capacity shall be calculated based on considering the system volume and air leakage rate, there is no specific relation between vacuum and solvent vaporisation. Here we need to prioritize the vacuum, not the solvent. In Vacuum pump capacity calaculation s post ,you are calculate capacity considering only volume for VTD but not taking the solvent vaporisation load for calaculation?? ?is that solvent content in the weight cake to be removed is not having any impact on vacuum pump capacity calaculation? Vacuum pump capacity depends on the system volume and air leakage rate as mentioned above. Based on the volatility of the solvent the vacuum inside the system varies slightly. That't it...!! The impact is considerable but low. So to address these sort of things, always we need to consider the safety factor while selecting of equipment's, which can be considered as 15 to 20% excess than the required. Dear sir thanks for you info..I have already gone through your aforesaid valuable post but sir that is applicable only when there is PRV on the reactors but sir in my plant PRV is nowhere present..Only the post condenser vent is the reactors' vent.then what will be the calculation for determining the sizing of the condenser's vent?? 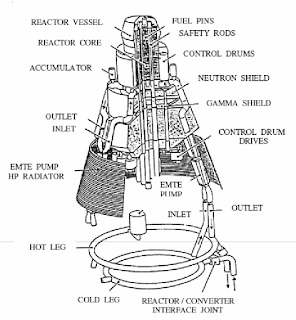 Its very sad to know that reactors being used without SRV & RD, usually the vent line shall be considered between 30-50% of the vapour column size.